I recently came across this video on the Boston Globe site for what’s dubbed healthy fish tacos. You’ll have to watch to get the recipe and leave out the salt, but other than that, it sounds very simple. 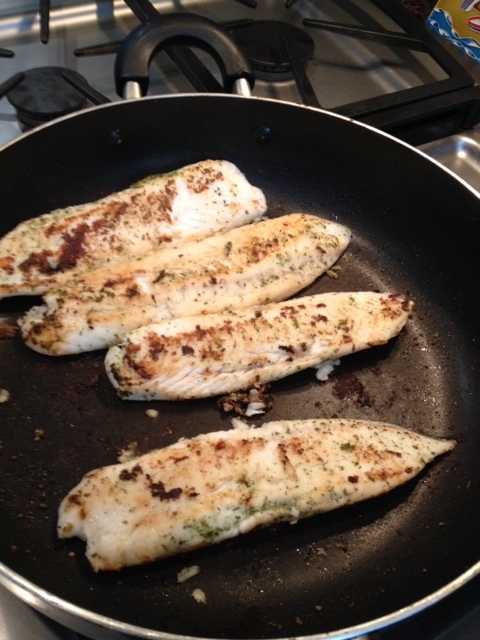 Tilapia such as these would work for fish tacos. To make it healthy, the recipe substitutes Swiss chard for a taco shell or soft taco, either of which is loaded with salt. It’s a variation of the lettuce wraps many places sell these days. Rather than Swiss chard, I’d try romaine lettuce or maybe radicchio leaves. Fish that would work include tilapia, flounder or just about any white fish. Grill the fish, inside or out, following her instructions here. Enjoy!